The ‘world class’ HS2 boss has admitted he expects to be sacked within days. 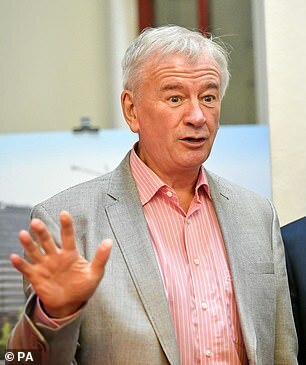 Sir Terry Morgan, who also works on London’s delayed £15bn Crossrail project, started working on HS2 in August. He told BBC Radio 4’s PM there was disappointment within Westminster about the delays Crossrail has incurred. Sir Terry’s admission follows reports he is expected to leave both jobs after a series of recent disclosures about problems at the projects and doubts were raised about his performance. The 70-year-old could leave both jobs in just a few weeks amid reports Prime Minister Theresa May is poised to sack him. It comes following suggestions from both Chris Grayling, transport secretary, and Philip Hammond, chancellor, that Sir Terry be removed from his post. And is just months after the transport secretary hailed Sir Terry as ‘world-class’ when he appointed him to the top position. The Financial Times has revealed that the HS2 rail project could now be facing a setback following the shock news. It is reported that Sir Terry, who started work at HS2 in August, may leave amid fears that costs are spiralling out of control. The line is set to create a new high-speed rail linking London, West Midlands, Leeds and Manchester. It was initially estimated to cost £56billion, but several senior ministers are said to privately fear it could exceed £100billion. It is to be built in a ‘Y’ configuration. London will be on the bottom of the ‘Y’, Birmingham at the centre, Leeds at the top right and Manchester at the top left. Work on Phase One began in 2017 and the government plans envisage the line being operational by 2026. It has prompted fears of potential cuts to infrastructure spending from unions and criticism from the Stop HS2 Campaign who branded HS2 as ‘a mess, it’s always been a mess’. What is HS2 and when did work first start on the project? 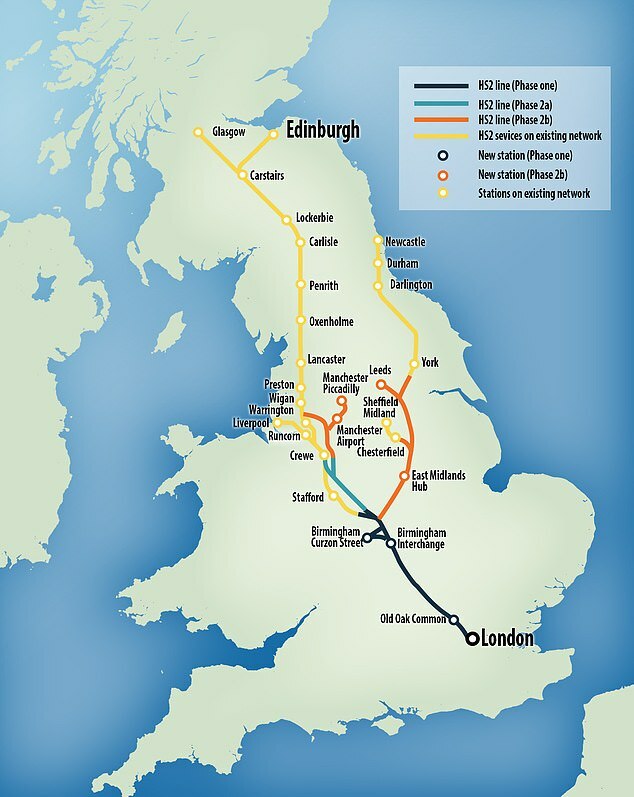 HS2 (High Speed 2) is a plan to construct a a new high-speed rail linking London, West Midlands, Leeds and Manchester. The line is to be built in a ‘Y’ configuration. London will be on the bottom of the ‘Y’, Birmingham at the centre, Leeds at the top right and Manchester at the top left. The idea for a second high-speed line was proposed in 2009 by the Department for Transport under the Labour Government. 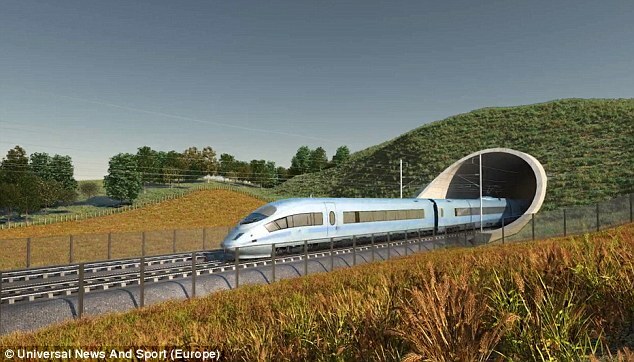 It was to be developed by a new company, High Speed Two Limited (HS2 Ltd). Early in this year, the government confirmed the route the new line would take. It also announced that the work would be completed in two phases, from London to the West Midlands and from the West Midlands to Crewe. Work on Phase One began in 2017 after the project was given royal assent. The government plans envisage the line being operational by 2026. The first trains scheduled to be used on the project are set to arrive for testing. The first passengers are scheduled to travel on HS2. How much has the project cost? The project has a projected cost of £56 billion ($77 billion), up from the initial cost of £32.7 billion ($45 billion) in 2010. Last year’s annual report showed that the company established by the government to build the railway spent £500 million in the year to March 31 – up almost 30 per cent from £352.9 million the year before. It takes the total amount spent by HS2 so far to more than £1.9billion since 2009. Separate accounts published by the Department for Transport also showed it had spent another £366 million on HS2. The bulk of this was on compensating individuals and businesses who own property and land near the planned line. Downing Street, the Department for Transport and HS2 declined to comment. Reacting to the reports, unions warned of cuts to spending on rail projects. 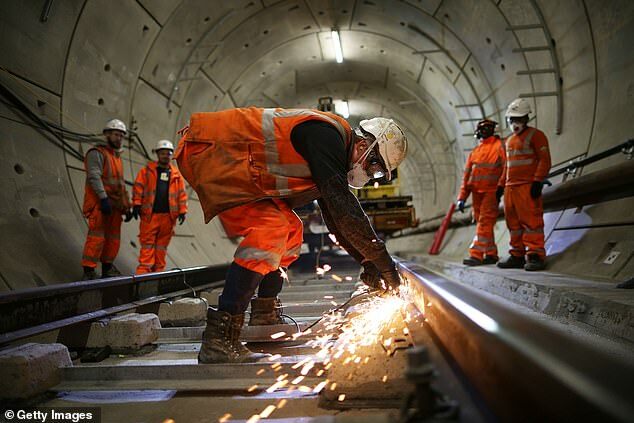 Manuel Cortes, leader of the Transport Salaried Staffs Association, said: ‘My big fear is that blaming ‘spiralling costs’, is Tory code for more infrastructure cuts to come. Stop HS2 Campaign manager Joe Rukin suggested it would be ‘bizarre’ to sack Sir Terry now as opposed to any other time in the project. Sir Terry has been chairman on the Crossrail project since June 2009. It was announced on August 31 that the capital’s new east-west railway will open in autumn 2019 rather than December this year to complete infrastructure and testing. The project’s budget was increased from £14.8 billion to £15.4 billion in July due to ‘cost pressures’. It is being predominantly funded by Transport for London (TfL) and the Government. The hugely complex ten-year project is bringing together multiple infrastructure contracts, new trains and three different signalling systems. 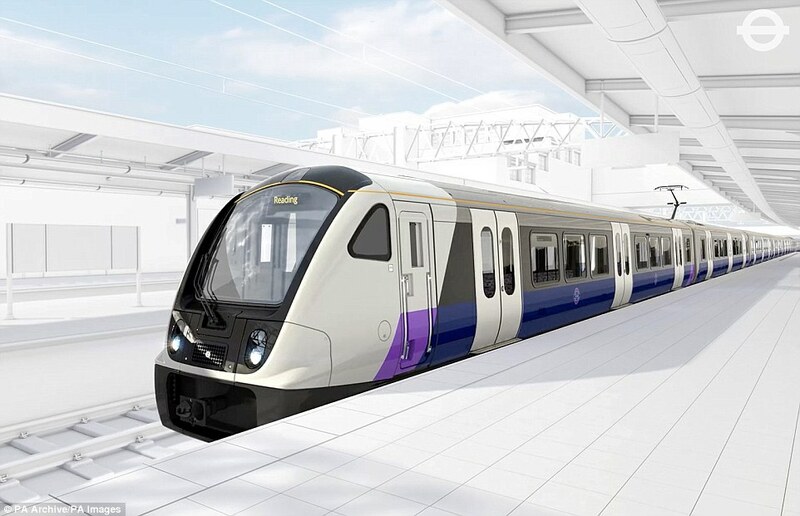 The Elizabeth line will add 10 per cent to central London’s rail capacity, and the project is estimated to boost the economy by an estimated £42bn. Once open it will allow journeys between Reading in the east and Shenfield in the west – all the way to Essex. Another journey could take people from Heathrow Airport in the east to Abbey Wood in the west. 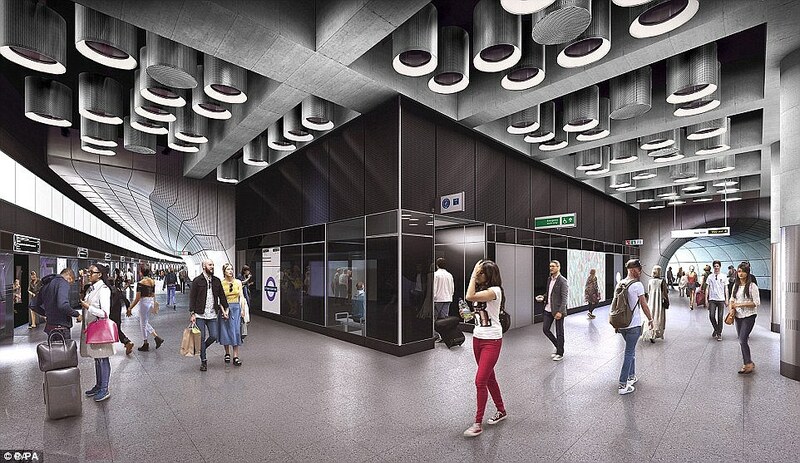 The autumn opening will only see the central section of the Elizabeth line open. Simon Wright, Crossrail Chief Executive said in August: ‘The Elizabeth line is one of the most complex and challenging infrastructure projects ever undertaken in the UK and is now in its final stages. The new Elizabeth line trains are already operating between Shenfield and Liverpool Street and between Paddington and Hayes & Harlington, in readiness for the full opening. In October, it was announced both TfL and the Department for Transport had commissioned an independent review of Crossrail’s governance and a separate review of its finance and commercial position. 1880 The idea for a scheme like this actually began more than one hundred years ago, with a company called the Regents Canal & Railway Company which lobbied for permission to build a railway that would link Paddington with London’s docks. 1943 The idea resurfaced over fifty years later in 1943. One of the results of this period of contemplation was the Abercrombie Plan. Although much of the Abercrombie Plan ultimately came to pass the new Tube lines did not. 1974 The idea was not forgotten as London continued to grow and flourish. In the 1974 London Rail Study, published by the then Greater London Council and Department for Environment, the line finally got a name – Crossrail. Unfortunately, the study estimated the cost of such a scheme at £300m, and thus although it recommended feasibility studies be undertaken as a priority, it could do little more. 1980 In 1980 that time almost came – a British Rail discussion paper, published that year, proposed an Inter City link across London featuring three route options and costed at £330m. Although the 1980 discussion paper ultimately led to nothing, the looming threat of Underground congestion that both it and the 1974 study had highlighted continued to develop. 1989 The government commissioned and published the Central London Rail Study in 1989 – a report which took many of the schemes highlighted in the 1974 study and developed them into more concrete schemes. The onset of the recession in the early 1990s, combined with the increased constraints on public finances, proved key factors that lead to Parliament rejecting the Bill in May 1994. 1994 In July 1994 it was announced that the Crossrail project would be pushed forward under the Transport and Works Act (TWA) system, which had replaced private bills as the procedure by which large infrastructure projects could be brought about. Before the draft order was lodged, however, the Government commissioned a further study to determine whether any smaller scale alternatives could achieve the same benefits as Crossrail. 2000 Cross London Rail Links Ltd (CLRL), jointly owned by the SRA and Transport for London (TfL), was set up to undertake project definition work on a Crossrail link and a feasibility study of a possible Hackney-southwest London scheme. CLRL’s initial budget was set at £154 million and the company was launched in January 2002. 2005 A Crossrail Hybrid Bill was presented to Parliament in February 2005 and the principle of the scheme was established at the second reading debate in July. 2008 The Crossrail Act finally gave Crossrail a confirmed route. 2009 After 35 years of planning and development, Crossrail finally broke ground on 15 May 2009 at Canary Wharf, when the Mayor and the then Transport Secretary Lord Adonis launched the first pile into the North Dock in Docklands at the site of the new Canary Wharf station. 2012 Crossrail tunnelling began in May 2012 and ended at Farringdon in May 2015 with the break through of tunnelling machine Victoria. Eight 1,000 tonne tunnelling machines have bored 26 miles or 42 km of new 6.2m diameter rail tunnels under London. 2018 All of the permanent track was installed and the new Elizabeth line trains were being tested using the line’s new automatic train control system which operates in the central section of the route. The line was due to open in December but has been delayed for further testing to be carried out. 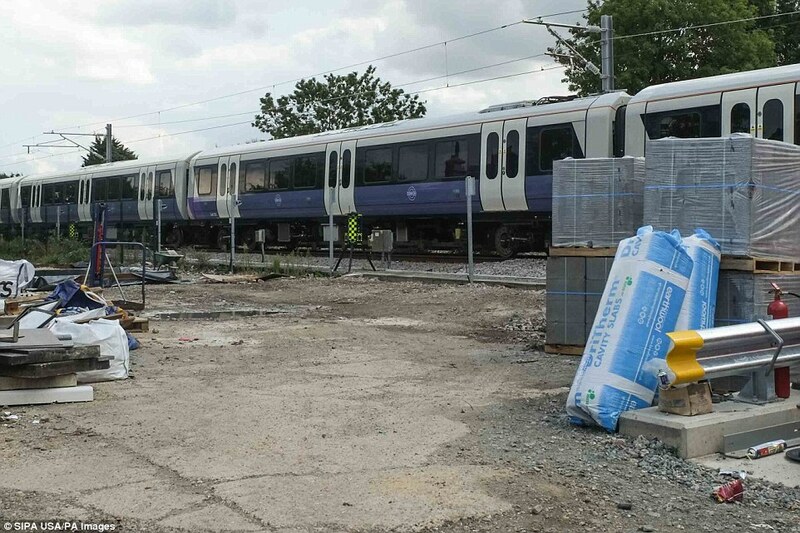 2019 Crossrail is due to open in the Autumn.